Asparagus is expensive compared to other more common vegetables simply because it is harvested by hand and produced in small volumes. 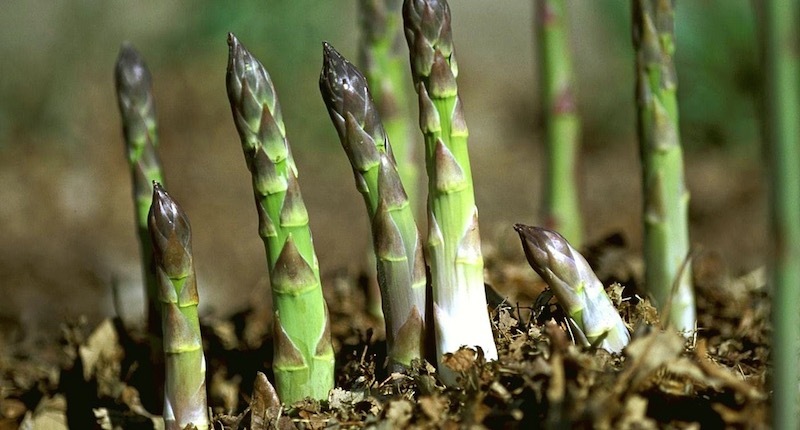 Kidneys: The diuretic and alkaline properties of asparagus help prevent or dissolve kidney stones. It helps break up oxalic and uric acids formed in the kidney. 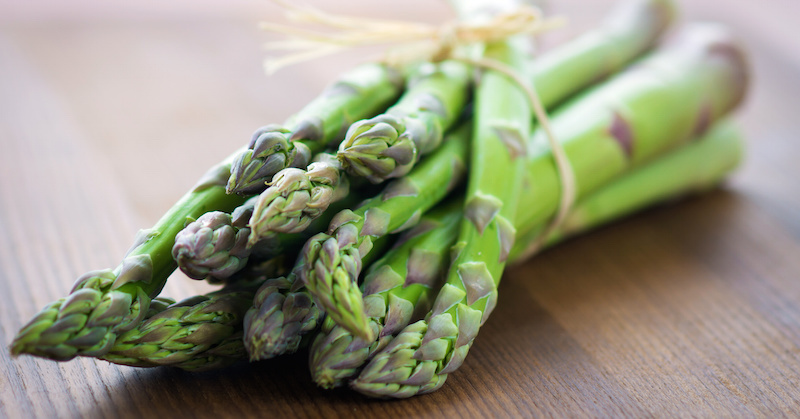 Liver: Chlorophyll and the other phytonutrients in asparagus are excellent food for detoxifying the liver and providing support for organ health. These supporting actions keep the renal system in tip-top condition, reducing uric acid and other toxins/pathogens in the system, ensuring regular flow of urine and reducing inflammation of the organs. Here’s a suggestion for making a nice glass of asparagus juice with all the best ingredients for renal health. When eating asparagus, always lightly steam, rather than boil, to preserve the sodium and other minerals from boiling away. Asparagus is a nutritious, vitamin-packed vegetable that I enjoy eating grilled with a sprinkle of grated Parmesan cheese. 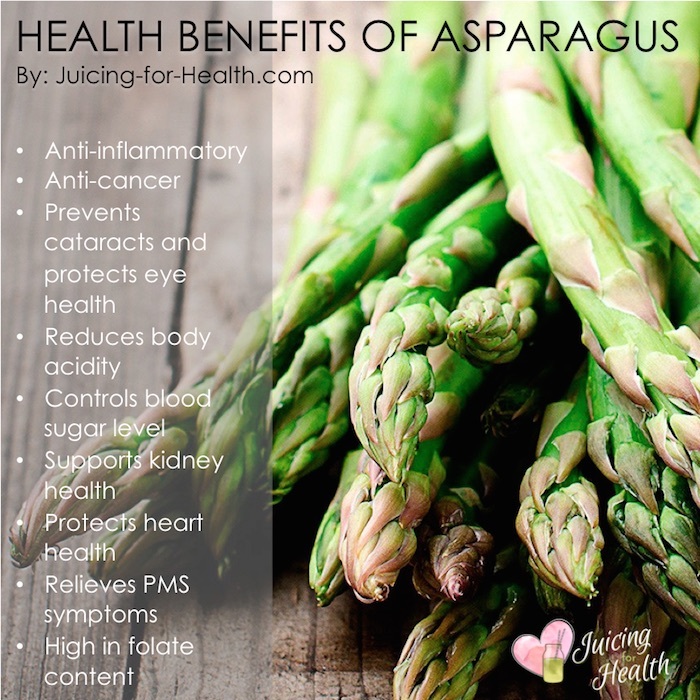 I’d like to add that asparagus is also used to treat urinary tract infections and inflammation. It’s also a good source of zinc and it may help enhance male fertility (sperm production).